Chevrolet, part of General Motors, is an iconic American car and truck manufacturer based in Detroit, Michigan. The Daytona International Speedway had an old building that was part of Victory Lane. 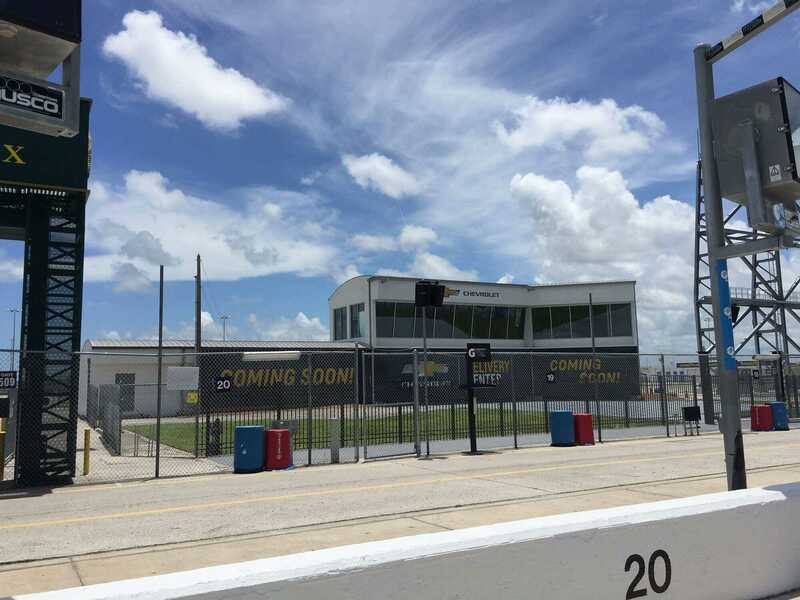 The building was obsolete after the speedway moved Victory Lane to in front of the Daytona 500 Club, creating an opportunity for Chevrolet to create a new experience. 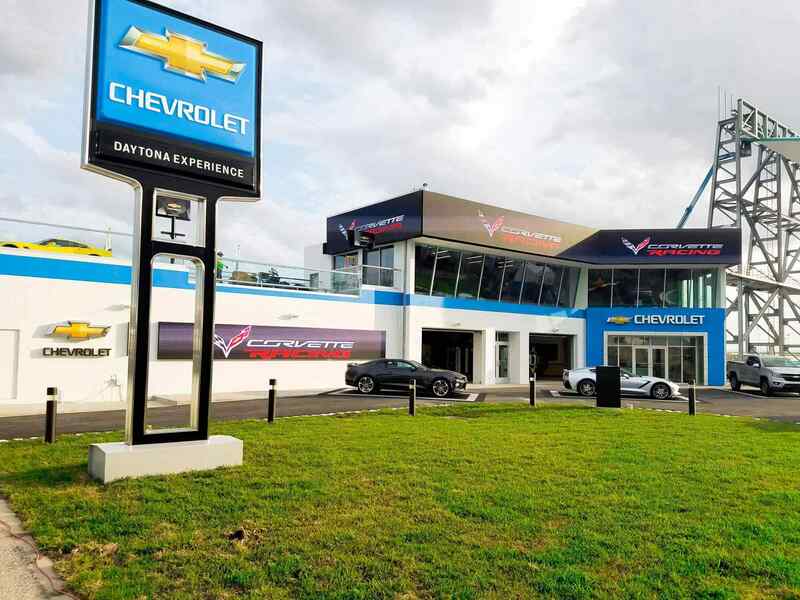 We needed to integrate a Chevrolet brand experience center for both race activity and new vehicle delivery at Daytona International Speedway. AGI worked with Chevrolet’s designer to blend the branding of the building as a retail delivery center while maintaining the heritage of Chevrolet Racing. 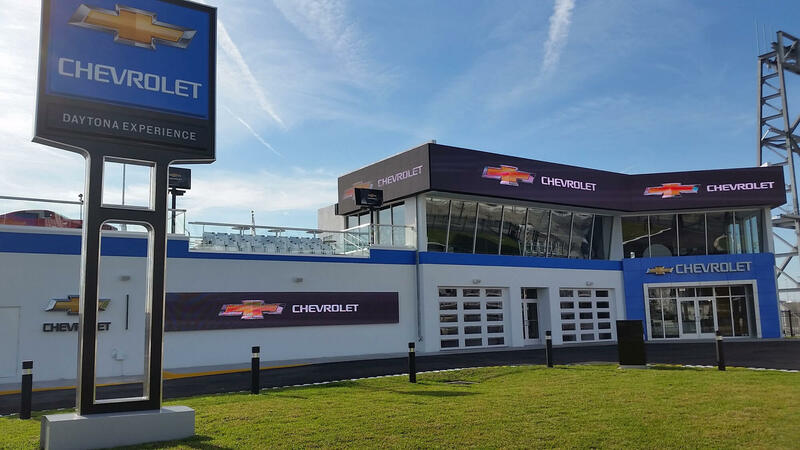 We helped Chevrolet brand the facility by incorporating traditional signage and ACM with an LED system around the building. The end solution was a total transformation of an old facility into a new brand experience for fans and customers.